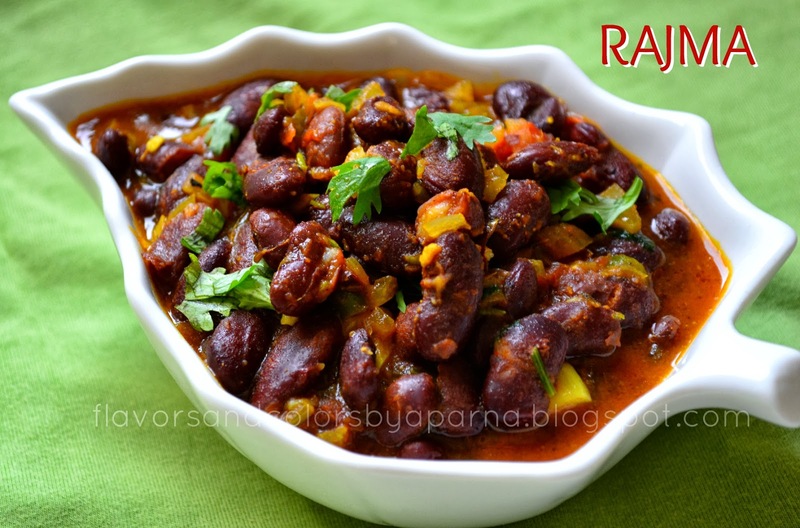 Rajma is a popular Indian vegetarian dish prepared with red kidney beans. This spicy, thick gravy which is prepared by combining Indian spices tastes delicious when served with steamed rice, a combination known to be favorite of many North Indians. Heat oil in pan. Add cumin seeds and once it splutters, add cinnamon and stir it. Next add finely chopped onions, grated garlic ginger. Saute it till the onions turn translucent. Add chopped tomatoes and finely chopped green chili. Add turmeric powder, red chili powder, coriander powder. Stir fry till the tomatoes become soft and the mixture becomes like a paste. Cook it till the oil starts to separate. 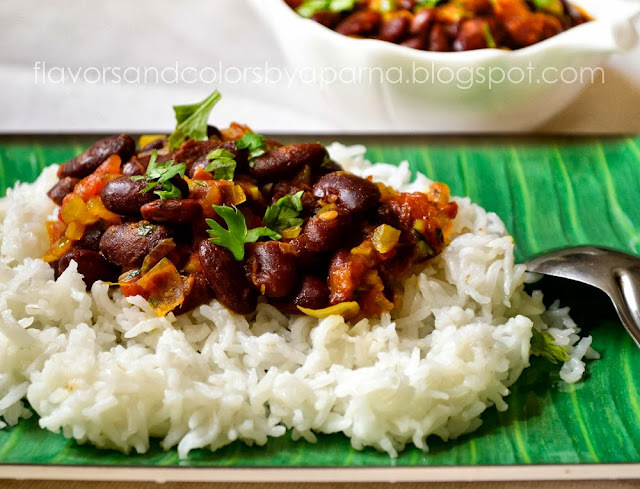 Add rajma beans, salt to taste, 1/2 cup of water, garam masala, and bring it to a boil. Crush kasuri methi on your palm and add it to the pan. Stir in between until the gravy thickens to the desired consistency. Garnish with coriander leaves. Serve hot with rice, roti or naan. looks so yummy, great presentation!